DIN Standards are issued for a variety of components including industrial fasteners as DIN 7991 Flat Head Countersunk Socket Cap Screws. DIN 7991 Screws are manufactured from stainless steel Grade A2 and A4, Plain Stainless Steel, Carbon Steel, Brass, Alloy Steel or many other materials. DIN 7991 Screws are available in a wide range of sizes, shapes and materials. The 7991 Screw is the rod of which is cut with a full thread, and also has a countersunk head with a cross-shaped slot. A Special Protective Zinc Coating protects DIN 7991 Screws from corrosion of metal and thereby prolongs the life of the Screw. Mainly Manufactured with a high class of strength of 8.8 and 10.9. Reliable Fastening Element made of heat resistant stainless steel. The superior side of the head can be rounded or blunt as per manufacturer directives. Complies with Analogues UNI 5933, ISO 10642 and GOST 17475-80. The use of the DIN 7991 Countersunk screws requires checking the mounting situation to avoid an overlap of the head. 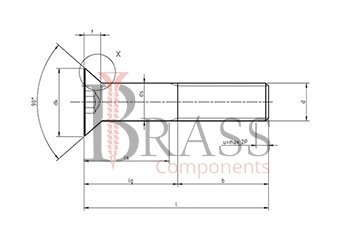 The actual mechanical properties of the Screw are unchanged. Have a reduced loadability due to the head geometry. A light rounding-off or a countersink between the head and the hexagon socket is allowed. If they are nevertheless tightened by means of the hexagon socket, the torques must be reduced because the key size is smaller and the depth of the hexagon socket is smaller. Used in Machine Building and Machine tool construction. Can be used with Power Drivers. 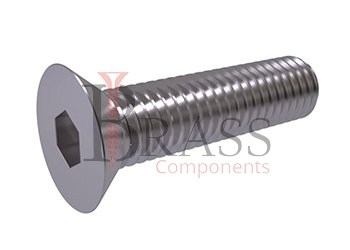 DIN 7991 Hexagon Socket Screw is intended for holding the screw to prevent rotation during tightening of the nut. Serves for reducing the wear of the hexagon socket. We manufacture DIN 7991 Screws as per Custom Specification and export in France, Italy, Switzerland, Poland, Greece, UK and other European Countries. For more Information, Please Contact Us or Inquiry Now.